I’m on a bit of a honeymoon with my lovely wife Bonnie, so this week’s update will be much shorter than usual. I’ve been hard at work on some cool projects I hope to share with you all soon. In the mean time, I’m putting out a call for Round Table panelists. Specifically I’m looking to get some new blood on the show and her from people who are not cis, white, straight men. Why? 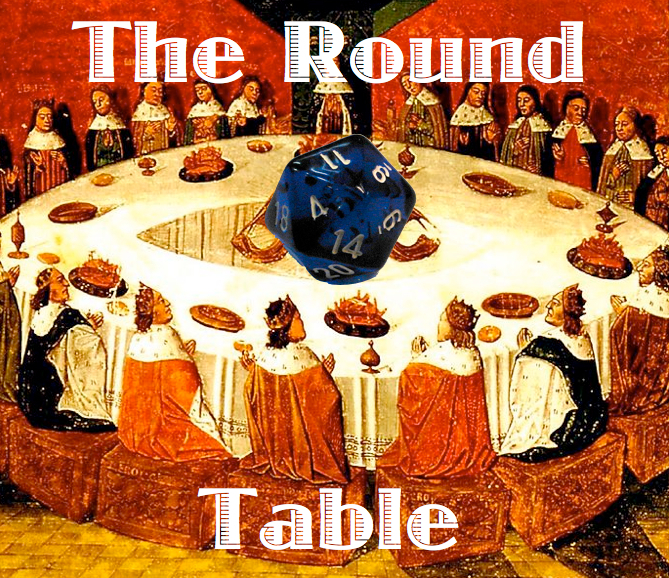 Because the Round Table has always been about getting different points of view. Up until now we’ve been super duper heavy on our representation of cis, white, straight men. I want more diversity on our panel because it’s clear that different people have different experiences in the gaming world. I’ve always tried to cultivate diverse opinions on the Round Table. I started with just people I knew personally. Then I branched out into other folks I met online and at conventions. This is the next step in the podcast’s evolution. I firmly believe that a more diverse body of panelists will create a better, more informed podcast that more people will want to listen to. If more people listen to the podcast, then more people spread the gospel of gaming. That’s good for everyone in the industry – consumers and producers. Inclusivity is good for all businesses. Gaming is no exception. The more people want to play games, the more people are supporting the industry with dollars. That means more products, better products, more jobs in the industry, more conventions, more game stores, more people who know what a critical hit is, and a whole lot more awesome. What does this mean for the old panelists? Nothing. You’ll still hear from awesome people who are cis, white, straight, and male like Rudy Basso, Greg Blair, Mike Shea, and more. We pump out 50+ of these podcasts a year, so there’s plenty of panel seats to go around. You’ll also continue to hear from new cis, white, straight men. There’s no shortage of us in gaming and most of us have a lot to say about what’s going on in the world. There will be more voices from gaming’s largest demographic. One more thing: I continue to be on every podcast and I fall into that demographic. There will never be a Round Table without that representation on it. As the show’s host and producer, I owe to the listeners to deliver on the podcast’s promise of diversity. So if you’re interested in being on the podcast and want to talk about the latest D&D news over Skype sometime, hit me up at james.introcaso@gmail.com.